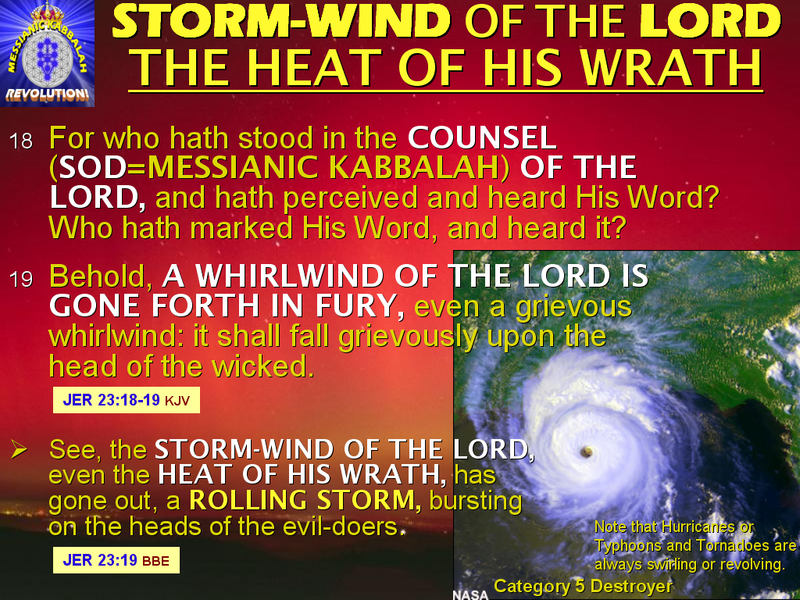 COLUMNA MESSIANIC RESEARCH CENTER: Climate Change Untold Truth 4: CLIMATE CHANGE IS THE REVOLVING FLAMES OF GOD'S SHARP, TWO-EDGED SWORD Swirling Between The Extremes of Judgment And Mercy (Genesis 3:24)! Climate Change Untold Truth 4: CLIMATE CHANGE IS THE REVOLVING FLAMES OF GOD'S SHARP, TWO-EDGED SWORD Swirling Between The Extremes of Judgment And Mercy (Genesis 3:24)! Today, many World Leaders, including top scientists, engineers, and economists throughout the world, are at a loss of what is really happening in the Weather and Climate arena of Planet Earth. Scientists and researchers tried to study Climate Change in the past, particularly the pre-industrialization era. But the central vital truth is that Man cannot really understand Climate Change without going back to what happened in the Garden of Eden! And it follows that Man cannot really find the right solution to Climate Change without understanding what happened inside the Garden! The TIME HAS COME TO REVEAL AND EXPLAIN THE REAL CAUSE AND ORIGIN OF CLIMATE CHANGE! The Bible recorded the event wherein the first couple sinned and God drove them out of the Garden of Eden. When Adam and Eve obeyed Satan instead of God, God sent them out from the Garden of Eden and posted Cherubim at the entrance of Eden with the swirling flames of the sharp, two-edged sword. Man's first sin of eating the fruit of the forbidden Tree of the Knowledge of Good and Evil effected the very first Climate Change in the history of mankind. From the cool, comfortable, beautiful, and productive climate inside the Garden of Eden, man was suddenly exposed to the harsh climate outside the Garden! Then God assigned Cherubim, equipped with the swirling flames of the two-edged sword to guard the entrance to the Garden of Eden, and to the Tree of Life. The flaming sword is the visible form of the sword of justice, repelling the transgressors from the seat and source of life. 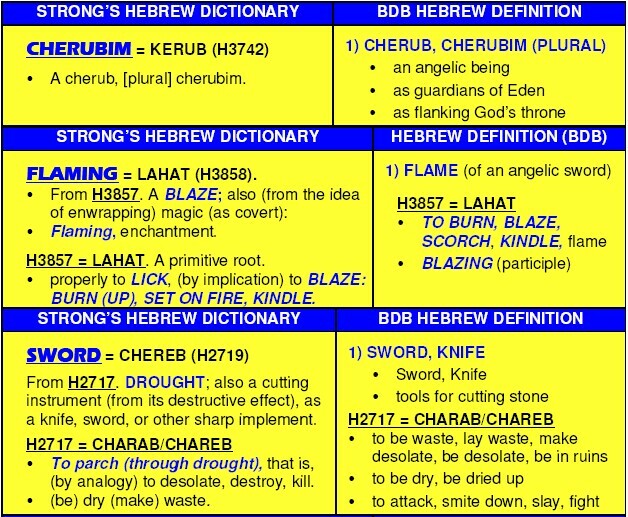 The Strong's Hebrew Dictionary and Brown-Driver-Brigg's Hebrew Definition (BDB), give us the meanings and definitions of the vital key words in Genesis 3:24. 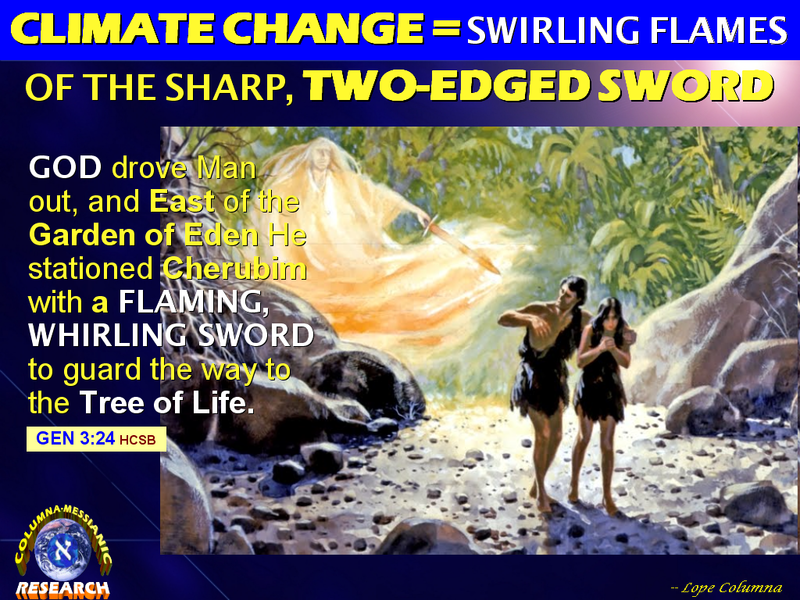 CLIMATE CHANGE IS THE SWIRLING FLAMES OF THE SHARP, TWO-EDGED SWORD IN GENESIS 3:24! 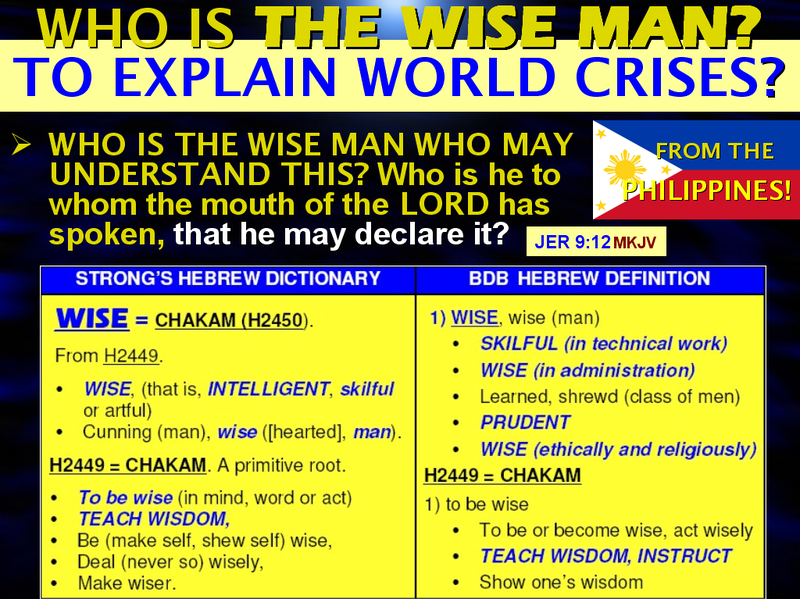 CLIMATE CHANGE, which brings supertyphoons with towering flashfloods and storm surges in one hand; and drought, extreme heat, and wildfires on the other hand, is the revolving flame or fire of God's sharp two-edged sword! The scientific data gathered by top scientists and researchers only shows and proves the glaring and scary truth: CLIMATE CHANGE/GLOBAL WARMING is here, and its deadly forces are increasing in ferocity and frequency! And the main cause and inducer of Climate Change is Man himself! The swirling Climate Change is always revolving or changing from the extreme of Mercy to the extreme of Judgment. The best Climate Change is in the middle or center of these two opposite extremes of Mercy and Judgment. These are the purposes of Climate Change or typhoons that God creates. When we use the structure of the Ten Sefirot, or the Tree of Life, the two extremes of Mercy and Judgment correspond to Chesed and Gevurah. CHESED (LovingKindness) is the 4th sefirah on the tree of life in the Kabbalah. It is given the association of kindness and love. GEVURAH is known as "strength, "judgment", "power". Gevurah is usually understood as God's mode of punishing the wicked and judging humanity in general. It is the foundation of stringency, absolute adherence to the letter of the law, and strict administration of justice. Gevurah is also compared with the 2nd Day of creation, in which God separates the heaven and the earth. In imposing limits, creation can exist in all its myriad forms, and therefore Gevurah is a powerful creative power and energy. The middle of these two extremes is the sefirah of TIFFERET, which is called FAITH, or BEAUTY. Tifferet is the force that integrates the sefirot of Chesed and Gevurah. These two forces are, respectively, expansive (giving) and restrictive (receiving). Either of them without the other could not manifest the flow of Divine energy; they must be balanced in perfect proportion (by sharing), and this is the role of Tifferet, wherein the conflicting forces are harmonized. While the "right arm" of Chesed operates to draw others near, the "left arm" of Gevurah reserves the option of repelling those deemed undeserving. So in Tifferet the two forces of Chesed and Gevurah are balanced in perfect proportion, and creation can flourish. Therefore, And the earth was WITHOUT FORM, and VOID; and DARKNESS was upon the face of the deep. And the SPIRIT of God ... (Gen 1:2). These are the 4 punishments for the wicked. The last two of these punishments are explained here; the first two is explained in another article. As it is written, And it came to pass, when ye heard the voice out of the midst of the darkness, (for the mountain did burn with fire,)...(Deu 5:23). This fierce fire "shall fall upon the head of the wicked" (Jer 23:19) to burn them. And the "SPIRIT" means slaughtering by the sword. Because the TEMPEST STORM is a flaming, whetted (sharp) sword. ...He stationed cherubim with a flaming, whirling sword to guard the way to the tree of life. (Gen 3:24). And this is also called the SPIRIT. Continued on Part 5 > JESUS CHRIST CONFIRMED CLIMATE CHANGE IS REAL, NOT A HOAX! And He Condemned People Who Know How to Interpret Climate Change Scientifically, But Don’t Know Its Spiritual Meaning! Or proceed to > The SWIRLING TWO-EDGED SWORD OF CLIMATE CHANGE IS NOW IN THE HANDS OF CHRIST! NOTES: Bible verses used in this article is based on the Holman Christian Standard Bible (HCSB). If not, the quoted translation is indicated. Vicky Tamayo O Lord of hosts, God of Israel, that dwelleth between the cherubims, thou art the God, even thou alone, of all the Kingdoms of the earth: thou has made heaven and earth. Is 37:16. All nations whom thou hast made shall come and worship before thee, O Lord; and shall glorify thy Name. Ps 86:9. He that planted the ear, shall he not hear? He that formed the eye, shall he not see? Ps 94:9. O come, let us worship and bow: let us kneel before the Lord our maker. Ps 95:6. Know ye that the Lord he is God: it is He that hath made us, and not we ourselves; we are His people, and the sheep of His pastures. Hallelujah! Amen.Ps 100:3. "I AM the LORD, your HOLY ONE, the creator of Israel, your KING." Praise the Lord forevermore! Amen. Is 43:15. Glory to God!.. Cheryl Hill Gilchrest Mind Heart you are so right. They can steer hurricanes too! We believe the link you are trying to visit is malicious. For your safety, we have blocked it. Learn more about keeping your account secure. If you think this link should not be blocked, please let us know. internet viewers, its really really goopd post on building uup new blog.